Bloat is a terrible disease to deal with if you are a dog owner. Bloat can be a fatal problem if not detected early. It is said to be the second in the list of fatal diseases a dog can have, first is cancer. Bloat can be brought along by stress, eating habbits, activity, heredity, size or temperament. There are many signs of bloat in dogs and some can be even mistaken for normal behavior. In this article, I will explain the causes and provide you with a video showing signs of bloat in dogs. Stress – The number one reason for bloat in dogs is stress. Stress can be brought about through sudden changes in a dogs environment, introduction of a new dog in the pack, travel etc. Be sure to introduce new dogs gradually to the pack. While making travel arrangements be sure to avoid putting your dog on a plane as much as possible. Eating & Drinking Habbits – Signs of bloat in dogs occur also when a dog ingests too much food in one setting. Be sure to feed small amounts multiple times per day. A dog’s food bowl that is raised too much can also bring about bloat. When a dog drinks a lot of water quickly, air can be ingested which can cause bloat. When buying commercial foods for your dog, be sure to avoid any food that has citric acid as it is known to increase bloat risks. Many people today are switching to raw diets to combat this problem. You are probably wondering, there got to be an easier way to slow down your dog’s eating habits..
luckily there is! here is an ingenious way to cut your dog’s eating time in half! 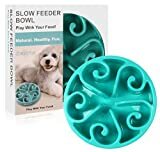 Even though the above SienSync slow feeder does an amazing job, I liked the Wisspet slow feeder dog bowl design a bit better: Wisspet Slow Feeder Dog Bowl – Bloat Preventing Feeder Anti Gulping(Fan shape, Blue). Size & Heredity – A dog’s parents who are prone to bloat can pass the genes on to their offsprings. 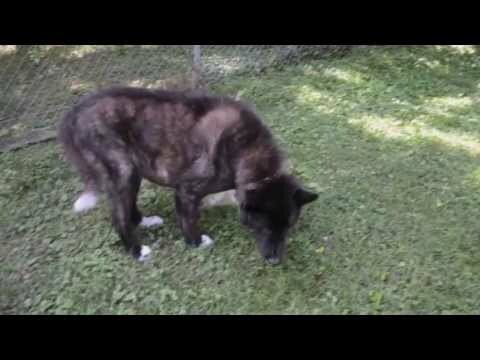 Also larger dogs such as Akita’s are more prone to bloat. 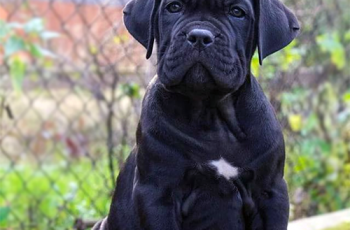 Other large breed dogs include Boxers, Great Danes, Dobermans and Bullmastiffs. Males dogs seem to be more prone to bloat than females. 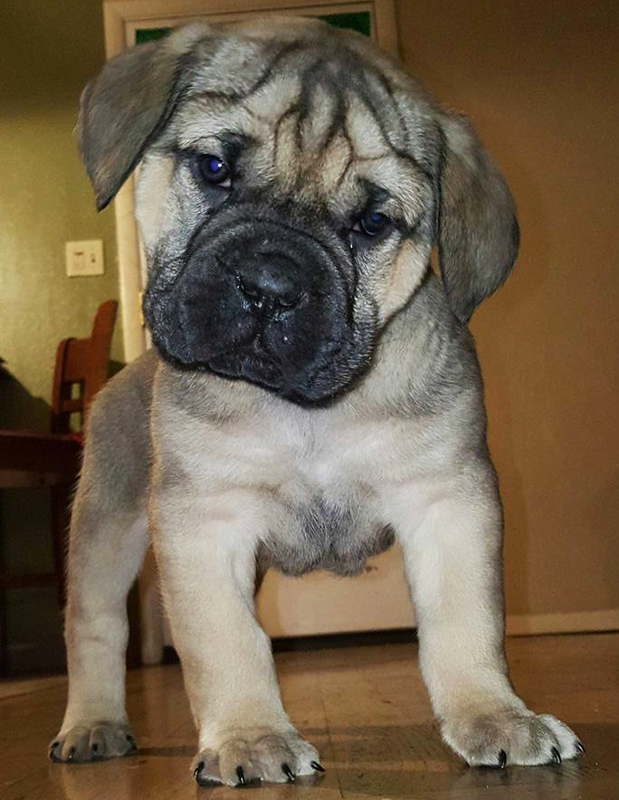 Activity & Temperament – Rigorous running, jumping or any other activity can cause bloat. Signs of bloat in dogs also has a relation to their temperament and disposition. Dogs who are fearful, stressed and aggressive are more prone to bloat. Signs of bloat in dogs must be found out immediately otherwise it can be fatal for the dog. Symptoms may include restlessness, attempts to throw up (sometimes with the excreation of foam) and an enlarged tummy. You will know immediately that something is wrong with your dog as they won’t act like themselves. Your dog may whine, pace, gag, cough, pant and may have a weaker pulse than usual. However, your dog’s pulse can also be way up as bloat progress. The most indentifiable signs of bloat in dogs are as follows. Your dog may walk around hunched up with the facing tail downward. You dog may lick the air or try to find a hiding place. Other identifiable signs of bloat in dogs include your dog refusing to sit down and collapsing to the ground. Above is an example showing signs of bloat in dogs. 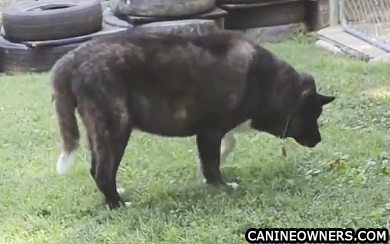 During the recording of this video, the owners had no clue that this dog had bloat. This dog was treated and now is back to full health. If your dog is showing any of the symptoms above or are showing multiple symptoms, take them to a veterinarian immediately. Bloat should be taken seriously as it is a terrible and painful disease that can take the life of your dog. Spay and Neuter Age, When Should You Fix Your Dog?